RUST AND CORROSION REMOVER // Pro-GreenMX Rust Remover is an advanced formulation that is specially designed to rapidly remove rust and corrosion from all metal items and 2-stroke exhaust pipes. 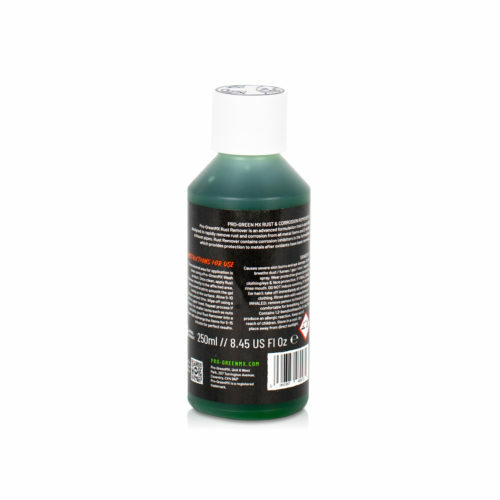 Rust Remover contains corrosion inhibitors in the formulation which provides protection to metals after oxidants have been removed. Product comes with flip-top lid. Product comes with flip-top lid. 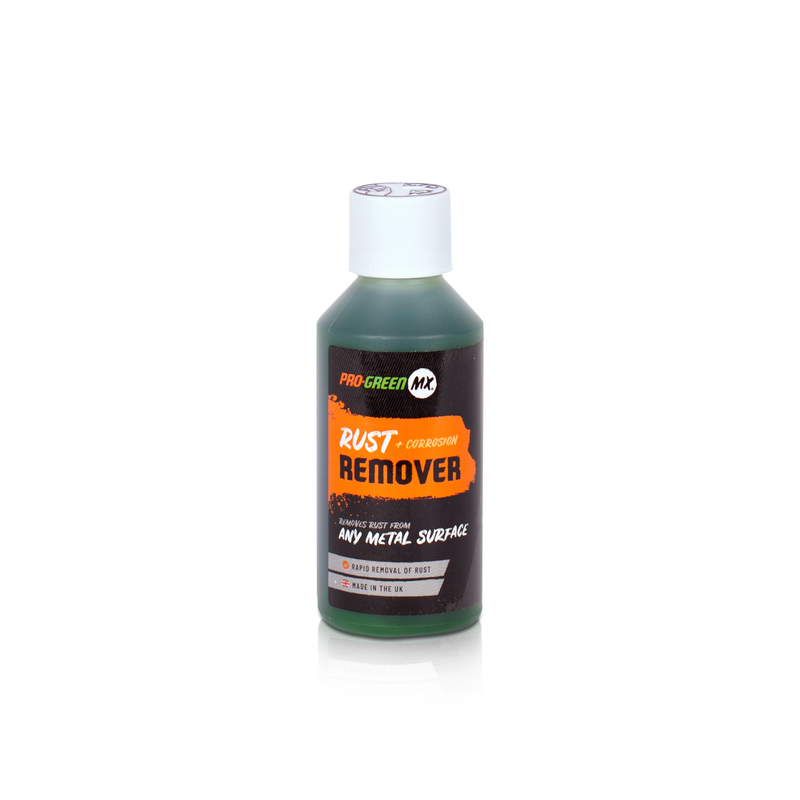 Works rapidly, removing rust in 15 minutes or less! As it is non-corrosive, Rust Remover is safe to let heavily rusted items soak for longer periods of time if required. Provides protection against future corrosion. Ensure desired area for application is clean using a Pro-GreenMX Wash product. Once clean, apply Rust Remover directly to the affected area, using a small brush to smooth the gel evenly on the surface. Allow 5-10 minutes contact time. Wipe off using a cloth or paper towel. For smaller items such as nuts and bolts, pour Rust Remover into a beaker and submerge the items for 5-15 minutes for perfect results. Allergens: Contains 1,2-benzisothiazolin-3-one. May produce an allergic reaction. Health & Safety Information: Causes sever skin burns and eye damage. Keep out of the reach of children. Do not breathe dust/fumes/gas/mist/vapours/spray. Wear protective gloves/protective clothing/eye & face protection. IF SWALLOWED: rinse mouth. DO NOT induce vomiting. IF ON SKIN (or hair): take off immediately all contaminated clothing. Rinse skin with water/shower. IF INHALED: remove person to fresh air and keep comfortable for breathing.